The Sustainability Action Fund is happy to introduce our new Project Coordinator! Olivia Champagne is a Cooperative Business Coordinator and the new Project Coordinator for SAF. She has a Graduate Diploma in Community Economic Development from Concordia University, a Bachelors in Economics and Environmental Studies from University of Victoria, and a certificate in Biocultural Regeneration. 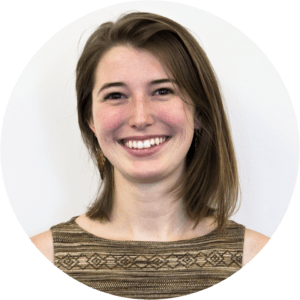 Olivia’s expertise sprout from the fields of agricultural economics, political ecology, permaculture and community development. Olivia is dedicated to growing the grassroots social economy. Currently, she is a member of a collective intentional community and a co-founder of the Beigne Oui Solidarity Cooperative Cafe. Additionally, she enjoys gardening, foraging, skating and cooking weird vegetarian meals. As SAF’s project coordinator, Olivia is excited to support the development of student initiatives and nurture the revolution.